Are you a problem solver? Do you enjoy getting dirty on the job? Have you ever taken something apart just to understand how it functions? Do you have excellent writing skills? Are you motivated when working on your own? Would you prefer working for a family owned company rather than an impersonal giant? Do you have integrity? Do you demand personal excellence from yourself? If you can honestly answer yes to all of the above questions, apply today to become a part of our "business family!" Equal Opportunity Employer. In addition to a very competitive compensation package, Donan offers a comprehensive benefit package which includes: Paid Time Off, Medical, Vision, Dental, Company Paid Life Insurance and AD&D, Voluntary Life Insurance with AD&D, Long-term and Short-term Disability, 401(K) matching, Health Savings Account (HSA), Health Reimbursement Account (HRA), Employee Assistance Program, and Tuition Reimbursement. Most employees required to travel for the Company are provided with a company vehicle. Donan is dedicated to overall employee wellness and safety. The Fire Investigator is responsible for studying fire and explosion scenes. They will make all the required studies and all other work necessary to determine the cause and origin of fires and explosions. They will convey their findings and conclusion to others in a clear and concise manner, usually through a written report. If necessary they will defend their opinions in a court of law. • Timely field visits to loss sites to conduct cause and origin investigations. • Provides honest and unbiased analysis and consultation on various fires and explosions. • Field studies and research on a daily basis. • Must travel from site to site to perform investigations within a 100 mile radius (further when required) from the assigned office. • Will have close client interaction often dealing with sensitive and confidential information. • Writes and submits detailed and accurate reports on completed investigations in a timely manner in accordance with company guidelines. • Will communicate with Donan’s customers to provide timelines and project updates on a consistent basis. • Must be willing and able to provide expert testimony and/or depositions on an as needed basis. • Must be willing to work a flexible schedule during periods of peak business demand. • Will provide excellent customer service to both the company’s internal and external customers. • Must have CFEI certification through NAFI. 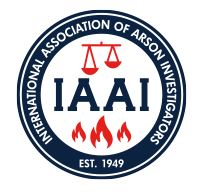 • Prefer Certified Fire Investigator license through the IAAI. • Must hold, or have the ability to obtain a Private Investigator License in the state in which they are assigned within 60 days of employment (if applicable). • Must be familiar with NFPA 921. • Previous expert testimony or deposition experience highly preferred but not required. • Degree or some college coursework is preferred but not required. • Must have at least 2-4 years of hands on experience working in the public and/or private sectors performing origin and cause investigations on residential and commercial structures. • Must be able to handle multiple project workload and periods of high stress, especially during times of peak business demand. • Must be hands on and able to climb ladders, roofs, crawl in tight spaces, etc. on an as needed basis. • Will perform projects that are assigned to them unless sufficient hazards are identified utilizing Donan’s Safety Protocol guidelines and JSA’s. • Meet all standards for pre-employment physical examination. • Must be team oriented and enjoy service oriented type work. • Must have a valid driver’s license with an acceptable driving record in accordance with the firm’s guidelines. • Experience with writing detailed reports is highly preferred. • Must meet or exceed company aptitude standards regarding overall computer and technical proficiency. • Must have a valid driver’s license with a clear driving record. • Must be willing to travel and/or work a flexible schedule during periods of peak demand. • Must have the willingness to work remotely and from home office. • Must have employee provided high speed internet that is reliable and accessible at remote office. • Frequently required to stand on one’s feet for prolonged periods of time. • Frequently required to lift and/or move objects weighing 50-100 lbs. • Frequently required to climb onto first and second story roofs, ascend/descend ladders, stairs, scaffolding, ramps, etc. • Frequently required to balance, stoop, kneel, crouch, or crawl. • Frequently required to drive a vehicle for extended periods of time. • Frequently required to reach with hands and arms. • Frequently required to use hands to finger, handle, or feel. • Frequently required to sit at a computer and look at a computer screen for extended periods of time. Contact: Please visit our website at www.donan.com for additional information. Will offer a reloaction package for the right candidate.